Hard-hitting Big Beat pioneers The Prodigy delivered force and adrenaline to dance floors with their flashy hybrid of electronica and punk. 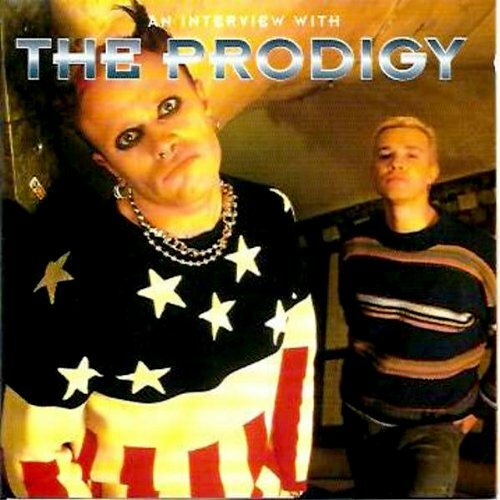 In this interview, conducted on the heels of their breakthrough 1997 album, The Fat of the Land, members Keith Flint and Liam Howlett discuss the band's controversial image and relentless intensity. The duo offer a frank rebuttal for any listeners who might doubt their claim to be "the best live band in the world". Neither Flint nor Howlett are lacking for conviction, yet they exude a refreshing stoicism and clearness of intent as they muse on their disinterest in the rave scene's ubiquitous drug culture. Throughout the proceedings, the pair exhibit the same propensity for self-expression and uncompromising energy that drives their music. The Prodigy's claim to be the best live band in the world could well be valid. Coming form Essex in the UK, they court controversy, are terrifyingly loud, and kick up more of a fuss than the likes of Nirvana did. This is not an artist, management, or record company-endorsed music release, and sound quality may vary. In this audiobiog the band disclose personal and intimate details of life on the road and how they create innovative music. Leo and Keith reveal all as they tell how the band began and how they progressed to the status of superband. A must for fans and collectors.